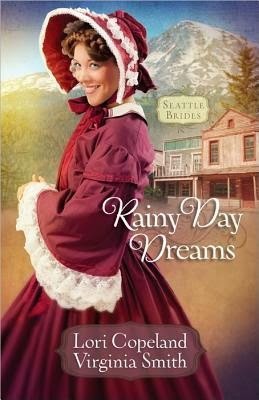 When the Burgert family moves to Seattle in 1852, Kathryn is convinced her father has destroyed her life. The backwoods settlement offers none of the comforts and culture she loves in San Francisco. She cares nothing for the new sawmill the townsfolk are so excited about. That is, until she meets Jason, a lumberjack with dreams for a bright future. As she comes to know Jason, Kathryn can't help catching his vision. But the future they hope for is anything but secure. There are some who see Seattle as a threat and will stop at nothing to make sure the sawmill fails. With the harsh and rugged weather, at times it seems even the land itself is determined to thwart Seattle's very existence. Kathryn and Jason's plans for a happy future become entwined with Seattle's struggle to survive in the midst of adversity, both manmade and natural. Boy did I have a hard time getting into this book. In fact, I was never able to connect with the characters or care about the plot. I wasn't exactly sure what the point of the story was until well past the halfway point. Kathryn is self-centered and entitled, while Jason is prejudiced and surly. There was never any chemistry between the two. The best characters in the story are Evie and Noah from the first book in the series. I did enjoy the setting of a newly settled Seattle.